The American Kennel Club announced today that the Pumi has received full recognition, joining the AKC family as the 190th breed. Joining the Herding group, the Pumi is a medium-sized, agile dog from Hungary. It was bred to gather, drive, and keep livestock under control. The breed is intelligent, a quick learner, and extremely willing to work. Pumik are very alert, energetic dogs that require daily exercise and mental stimulation. They do best with an active family. Their coat is a combination of wavy and curly hair that forms corkscrew curls all over the body. They need an occasional bath and a combing every two to three weeks. 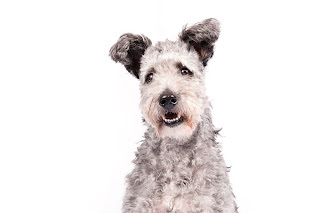 The Pumi becomes eligible to compete in the Herding group on Fri., July 1. To become an AKC recognized breed there must be a minimum number of dogs geographically distributed throughout the U.S., as well as an established breed club of responsible owners and breeders. Breeds working towards full recognition are recorded in AKC’s Foundation Stock Service. Additional information on the process can be found at www.akc.org.